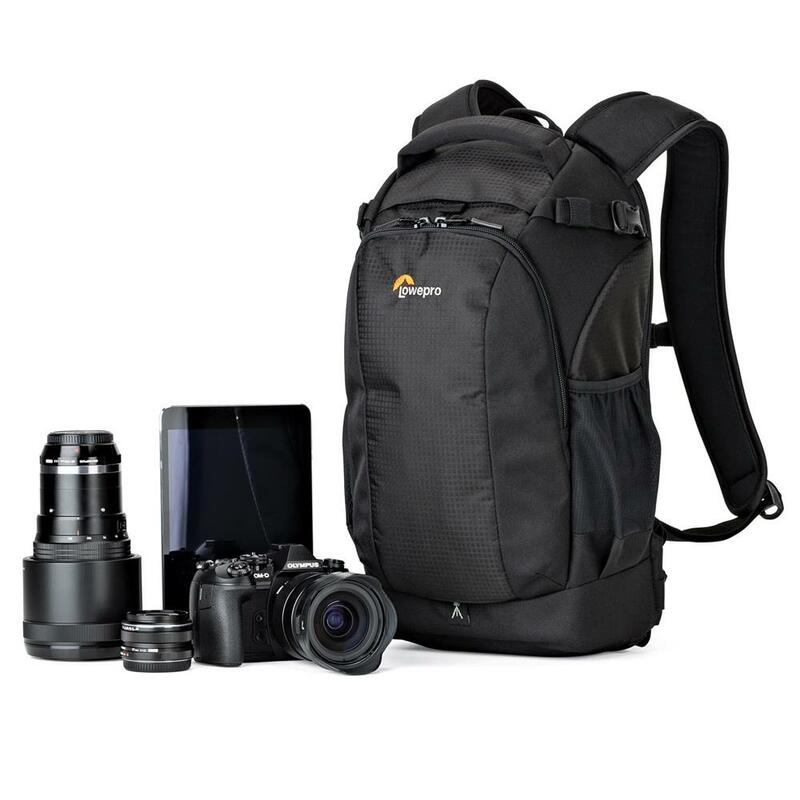 Compact DSLR and mirrorless camera backpack with secure body-side access. 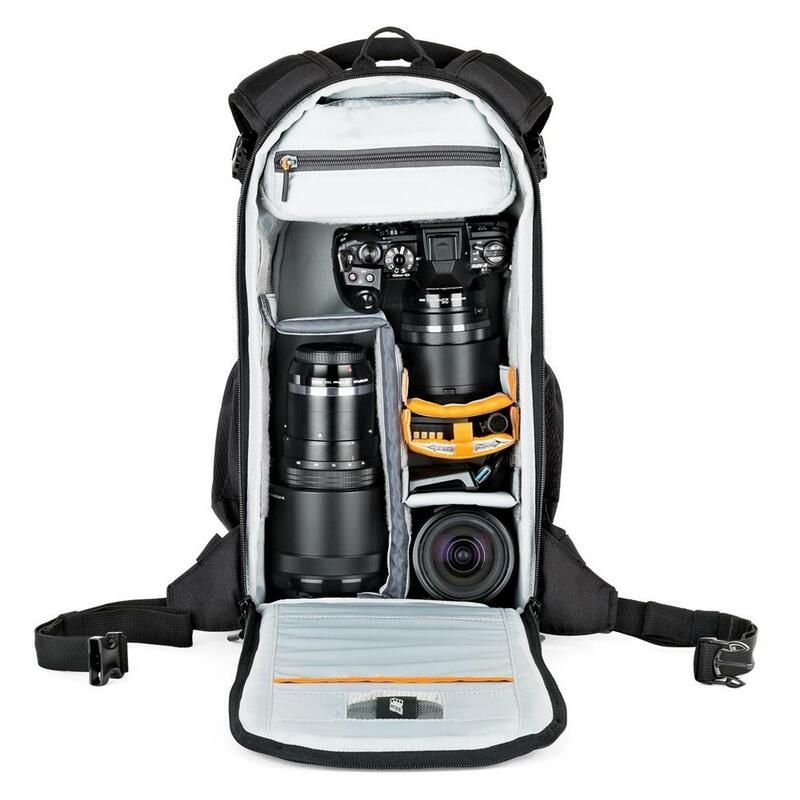 The world's best camera backpack just got better. 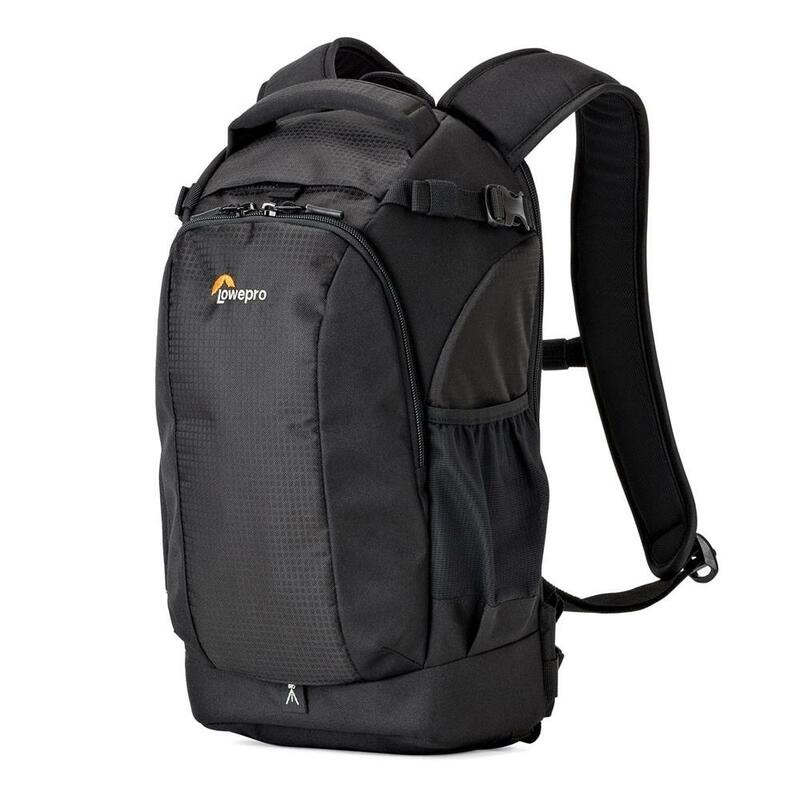 From trails to trains to city streets, the Lowepro Flipside 200 AW II is engineered for the modern landscape. 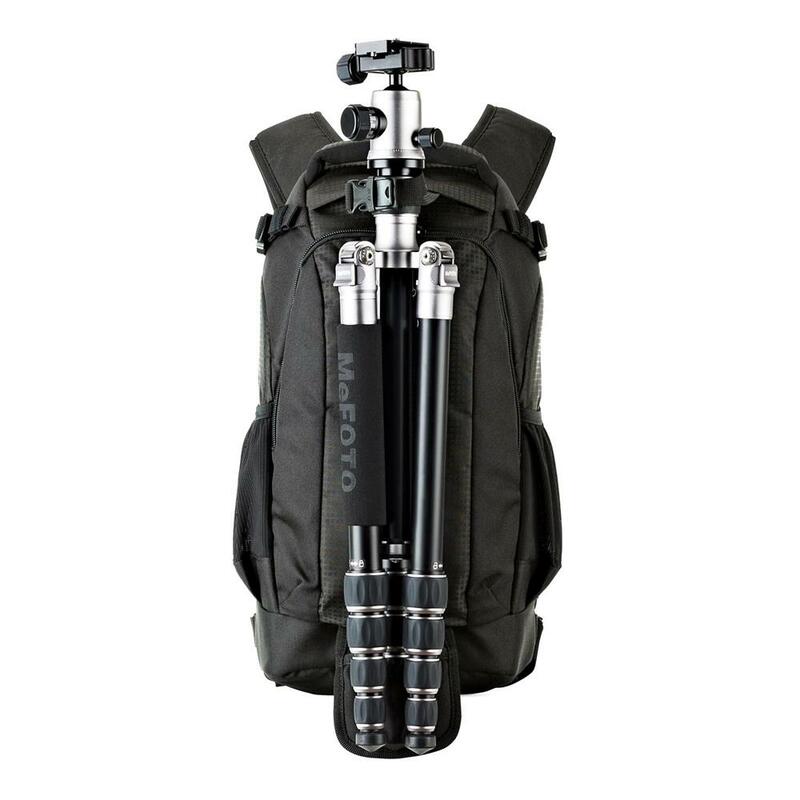 Load in your mirrorless, compact DSLR camera or compact drone, plus compact tripod and 7" tablet. 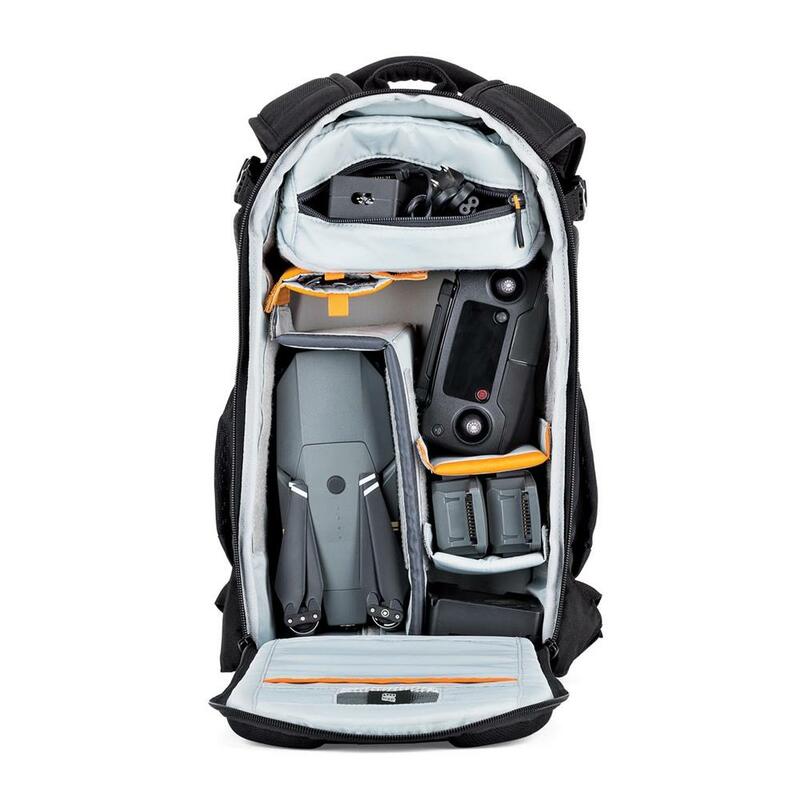 Our signature flipside design provides increased security, keeping gear safe and easy to reach wherever the day takes you. 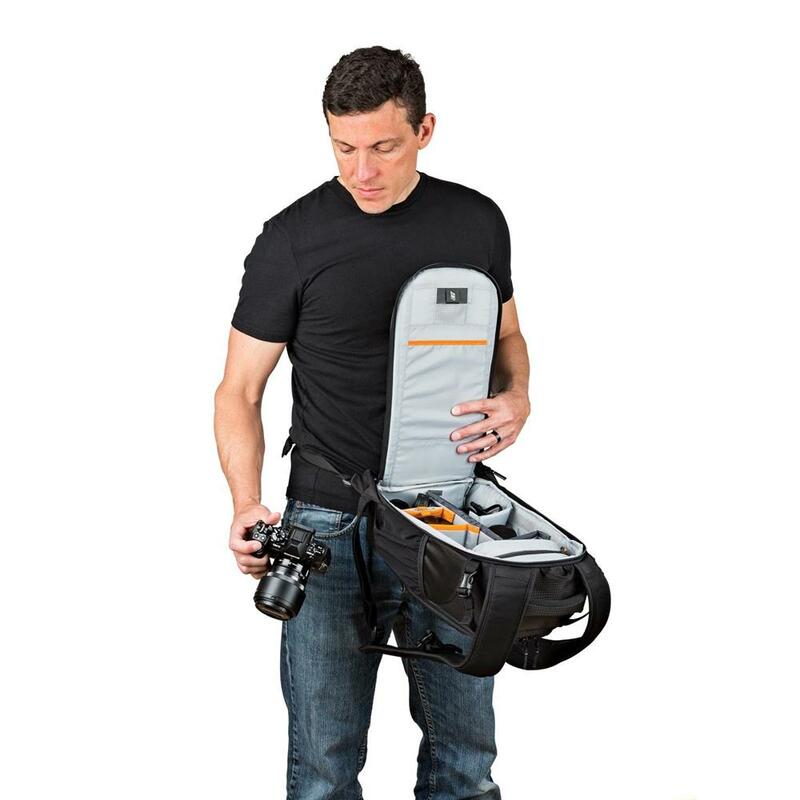 Quickly and safely access your gear when you can't put your camera bag down. 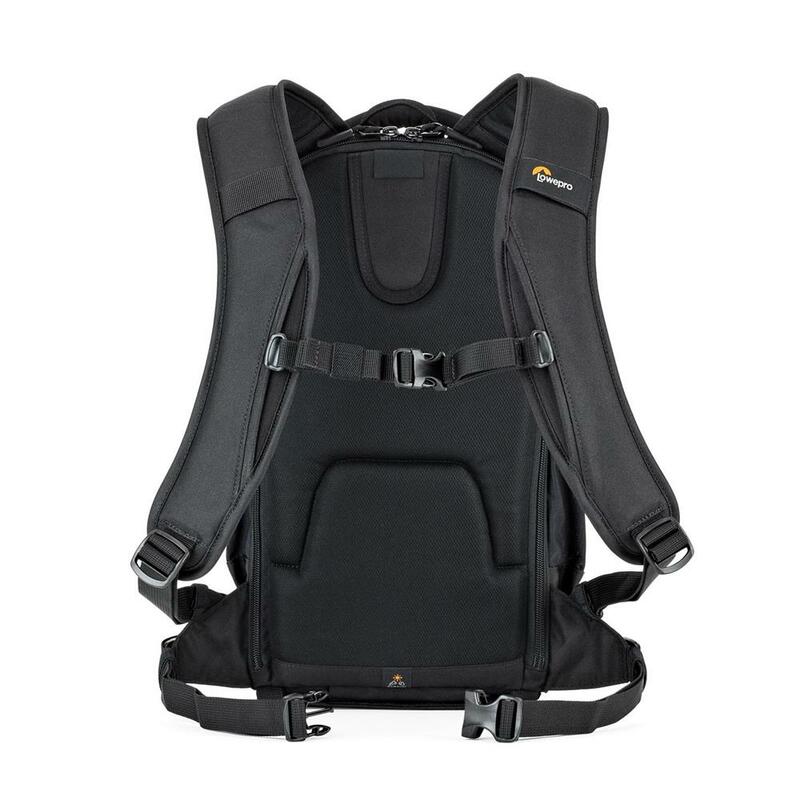 Body-side access means your gear is safely out of reach while you are wearing your pack. 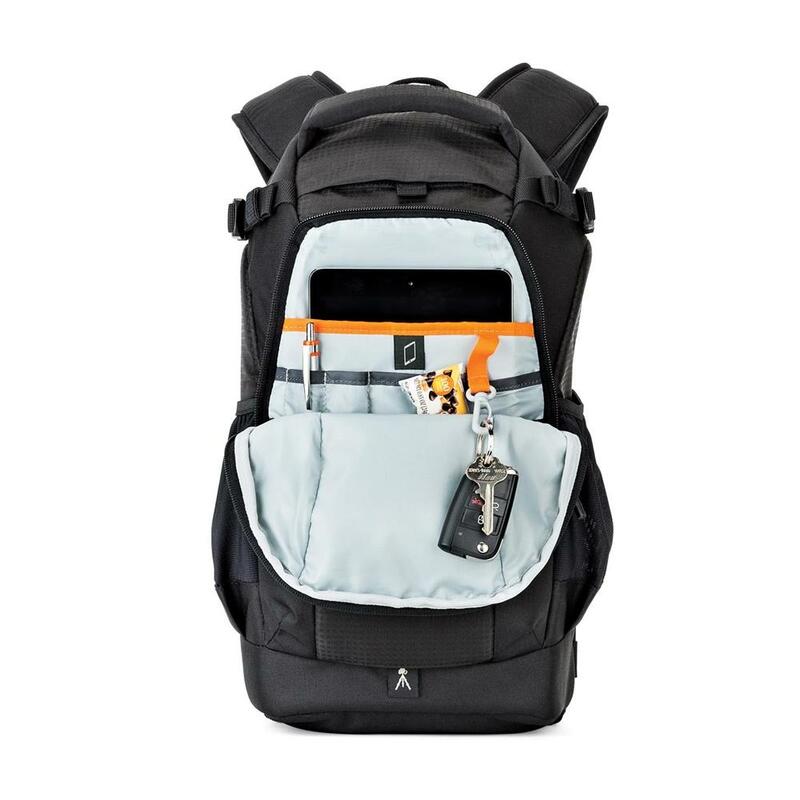 Flipside 200 fits essential gear in a compact, customizable and protective pack. Flipside supports your workflow and the demands of each new day with plenty of room and flexbility to fit your devices. CradleFit compartment protects your 7 inch tablet by suspending it within the pack. Moisture wicking back panel keeps you cool and comfortable. 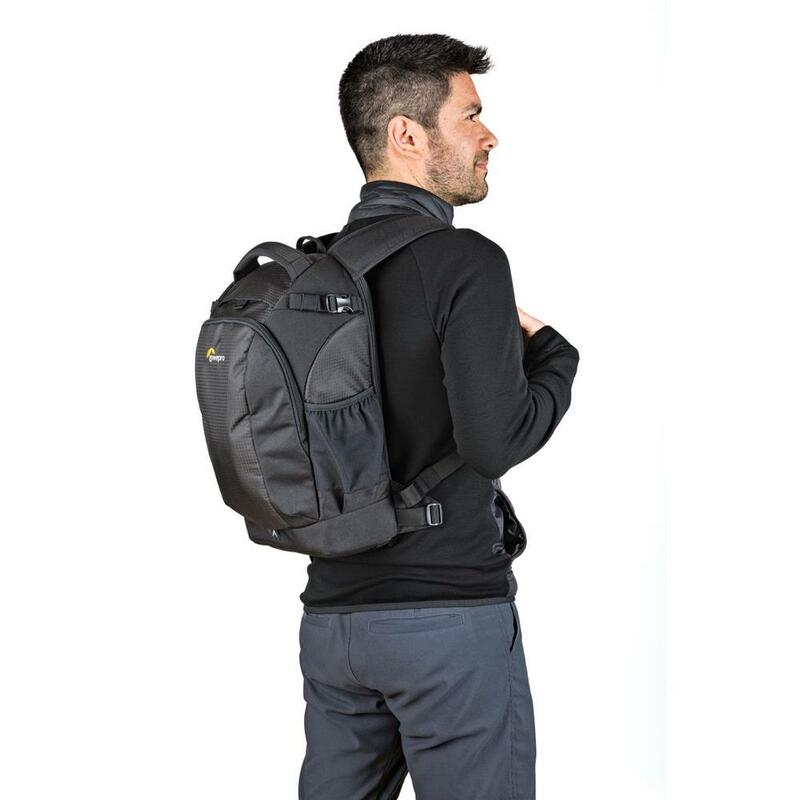 Adjustable chest and waist straps keep the pack in place while on the move. High-capacity dynamic storage system adjusts to fit a wide range of gear from DSLR & lenses to hand-held gimbals and compact drones. 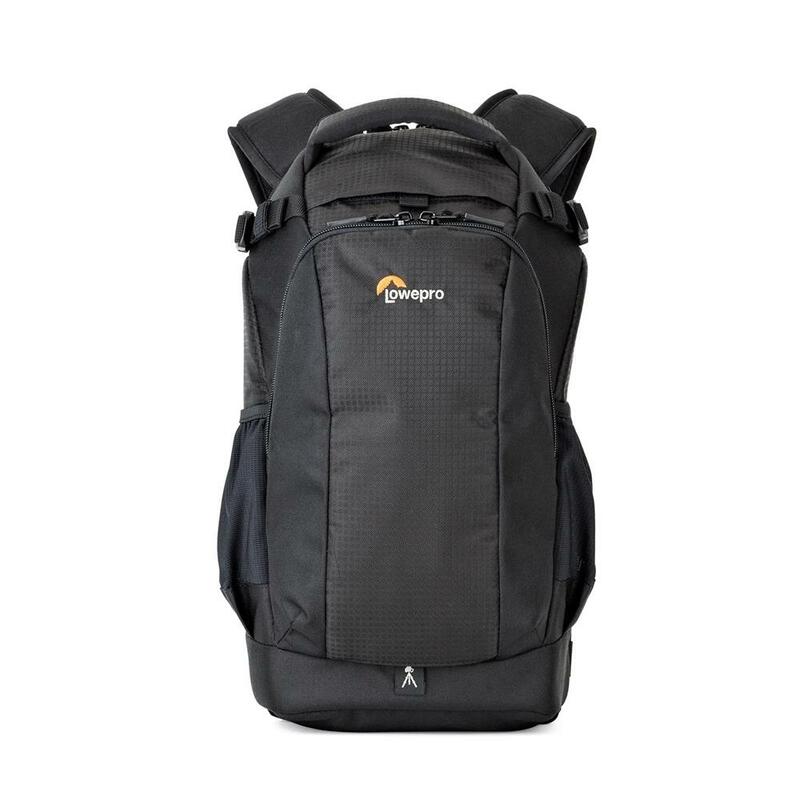 Signature Flipside design provides increased security through body-side points of entry and full access to gear without setting the bag down. 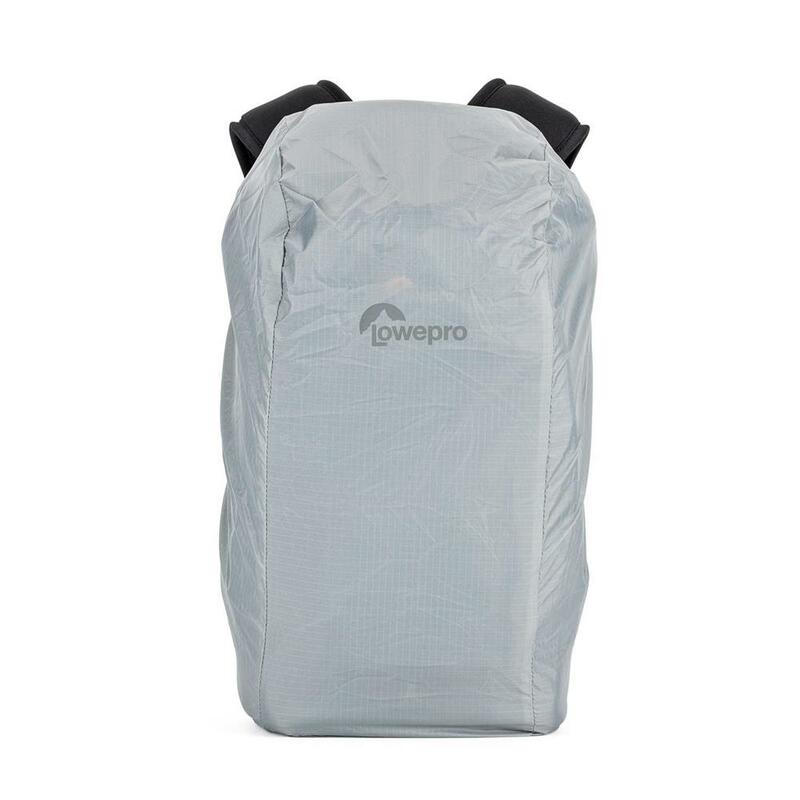 Dedicated tripod attachment system, stretch mesh side pockets and removable padded pockets are thoughtful features to help organize your equipment. All Weather AW Cover and coated materials combine to provide protection from the rain, snow, sand and dirt.